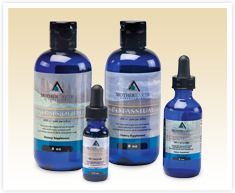 Following the wisdom that every sickness, every illness, and every condition can be traced to a mineral deficiency, Mother Earth Minerals was founded to offer truly unique and high-quality absorbable mineral supplements. Mother Earth Minerals are the original, angstrom sized, water soluble, magnetically-enhanced individual mineral supplements. Individual health is the responsibility of each person. Mother Earth Minerals strives to make achieving and maintaining that personal health efficient, cost effective, and convenient. Unlock the wellness secrets for life with Mother Earth Minerals.